Welcome to another "What I ate today" post. 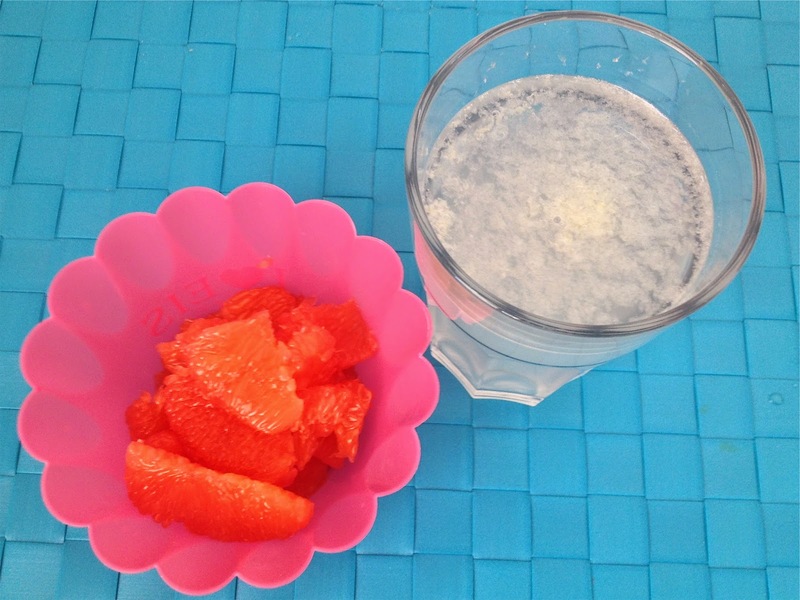 The first thing I drank this morning, and every morning honestly, is warm lemon water and afterwards ate a grapefruit. 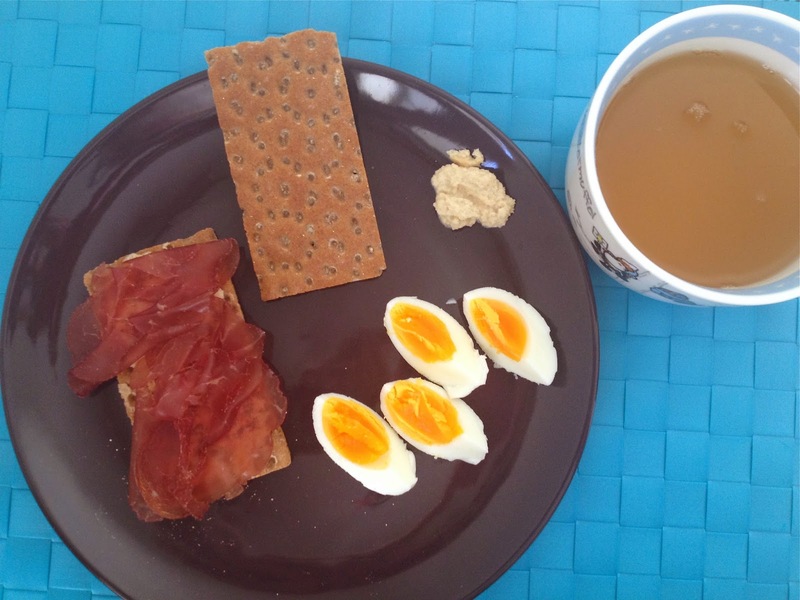 Breakfast consisted of crispy whole grain rye bread with breasola, a hard boiled egg with some horseradish on the side and a big cup of green tea. 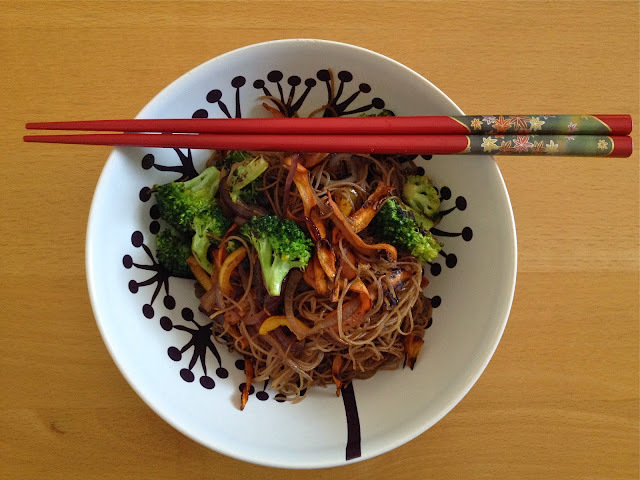 For lunch I had whole grain rice noodles with broccoli, carrots, red onion and yellow paprika. They say your meal should look like a rainbow, which I tried to accomplish. 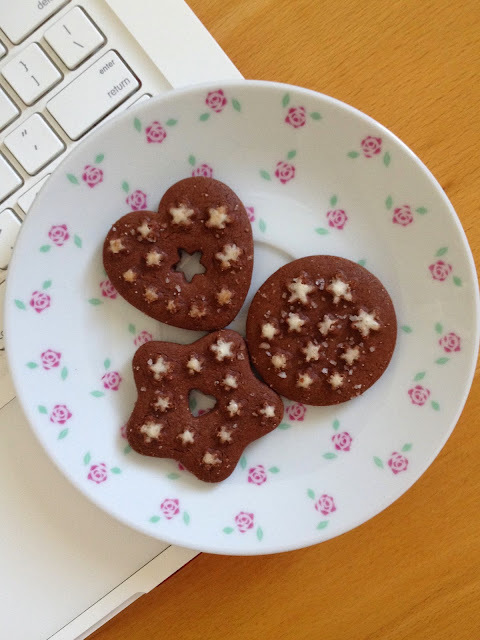 As a snack I had some Pan di Stelle biscotti, they are the reason why I workout. They are my favourite italian chocolate biscuit at the moment, so freakin' delicious. 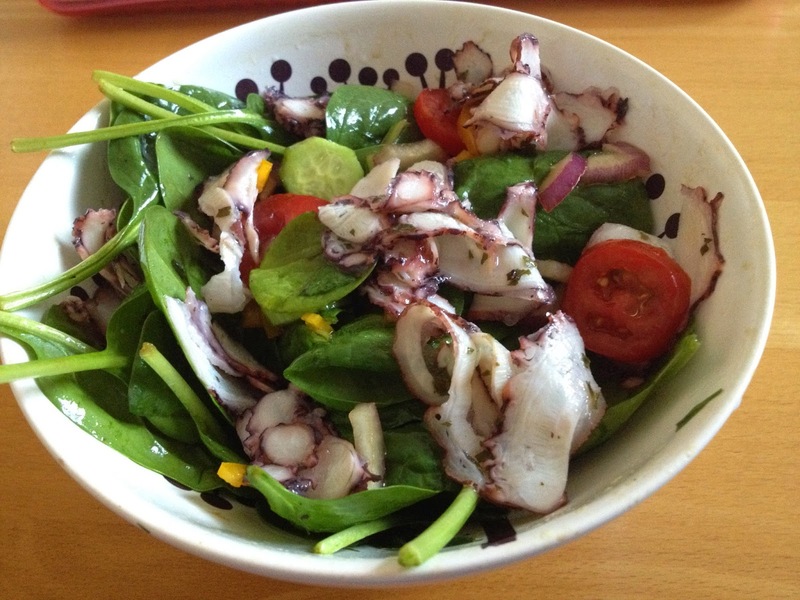 Dinner was very simple, nutritious and again a rainbow. Spinach salad with cherry tomatoes, yellow paprika, cucumber, red onion, dill and octopus carpaccio. As a vinaigrette I use only extra virgin olive oil and aceto balsamico. 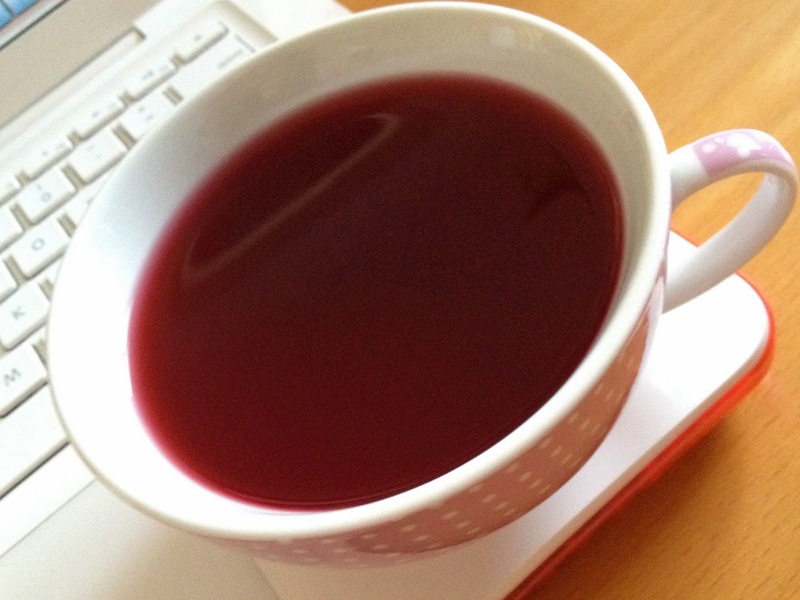 After dinner I had a raspberry-vanilla tea. For some this might be too much and for some not enough food for one day, however I try to listen to my body and eat as healthy as I can, but also indulge in small treats. I'm not saying this is the right way to eat and also not trying to influence your nutrition decisions, it's simply what I like to eat. Take it as it is: a what I ate today post.